With the S&P having soared 350 points in just over a month, banks are once again finding themselves chasing their own penguin shadows, and having cut their 2019 year end S&P500 forecasts in the depth of the December near bear market, will soon be forced to start lifting them again. Or perhaps not: some like Bank of America, courtesy of a strategic typo, has all its bases covered, expecting the S&P to close at both 2900 (its old target) and at 2,688 - its fair value target. Its schizophrenic, and oddly specific, S&P targets notwithstanding, BofA has a relatively accurate take on the two themes that seem most likely and most relevant to equity markets this year: (1) a secular upward trend in the cost of capital and 2) an upward bias to volatility. To BofA, the combination of Fed hikes, quantitative tightening, wider credit spreads, a higher equity risk premium and less advantageous treatment of debt post tax reform will combine to push the cost of capital higher. 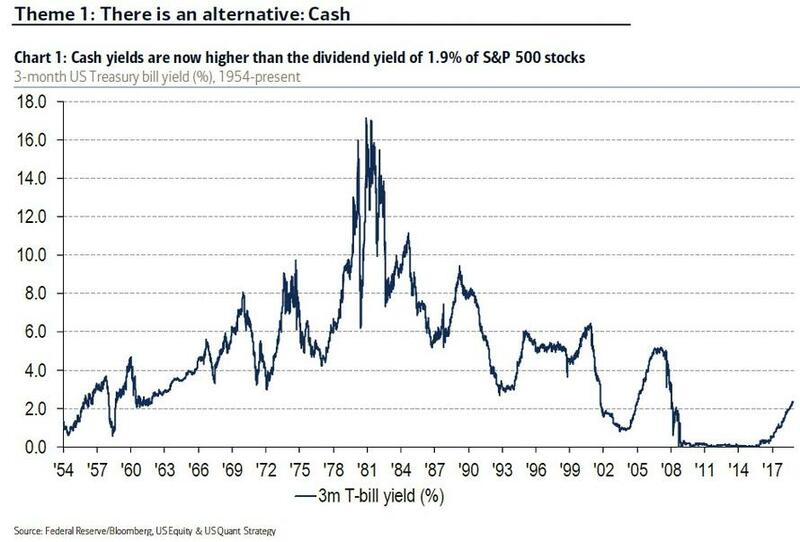 And as cost of capital rises - absent rate cuts or more QE from the Fed - BofA favors companies that generate, rather than burn, cash. 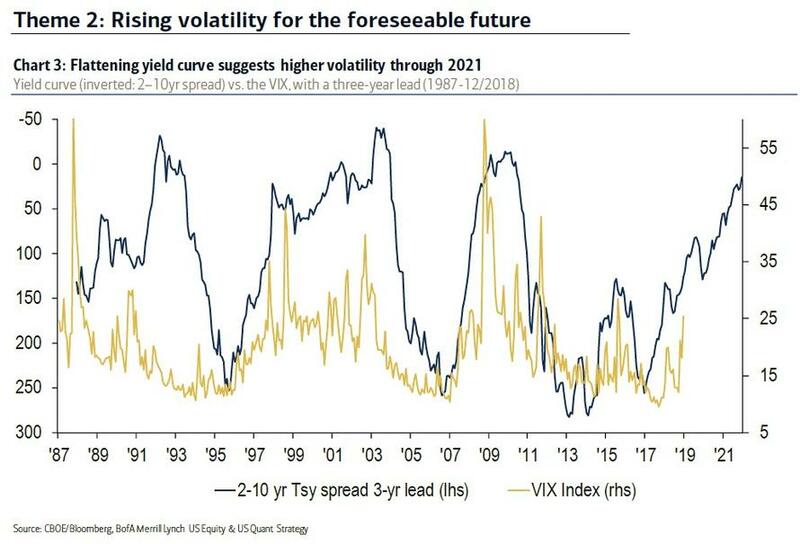 With regard to volatility, the slope of the yield curve has been a reliable forecast tool for the VIX, and suggests the VIX could double. 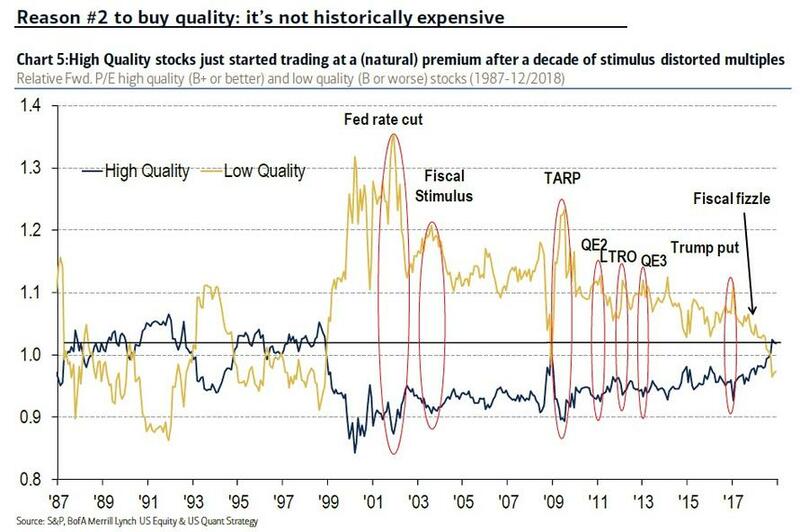 And with an upward bias to volatility, BofA now favors high quality companies, especially since high quality are only now trading at a natural premium to low quality "after a decade of stimulus distorted multiples." That said, the bank still sees some upside to the S&P 500, hedging that from 95 to 98, when the VIX doubled, the S&P 500 returned 80% amidst high quality leadership. Yet while BofA remains "cautiously optimistic", it makes an amusing assessment of the state of the (broke) market: not only are central banks and HFTs the dominant, marginal price makers, but - what may be worse - "the average 30-something investor may be ill-prepared for 2019." The largest age cohort of financial services employees is now 25 to 34 year olds (source: BLS). The most memorable early event of their careers was likely the Financial Crisis. Growth and momentum stocks have outperformed for their entire careers, whereas value investing has been a losing proposition. The average level of the VIX since they began working is 17, ~25% lower than the prior two decades’ average of 22. The prototypical professional investor is likely focused on growth and momentum, thinks Financials are un-investible, is unused to volatility, and sees valuation as largely irrelevant. But, as BofA's Savita Subramanian concludes, "momentum is now expensive, crowded and at risk, Financials are transformed and valuation always matters, eventually." ... will have no idea what to do. 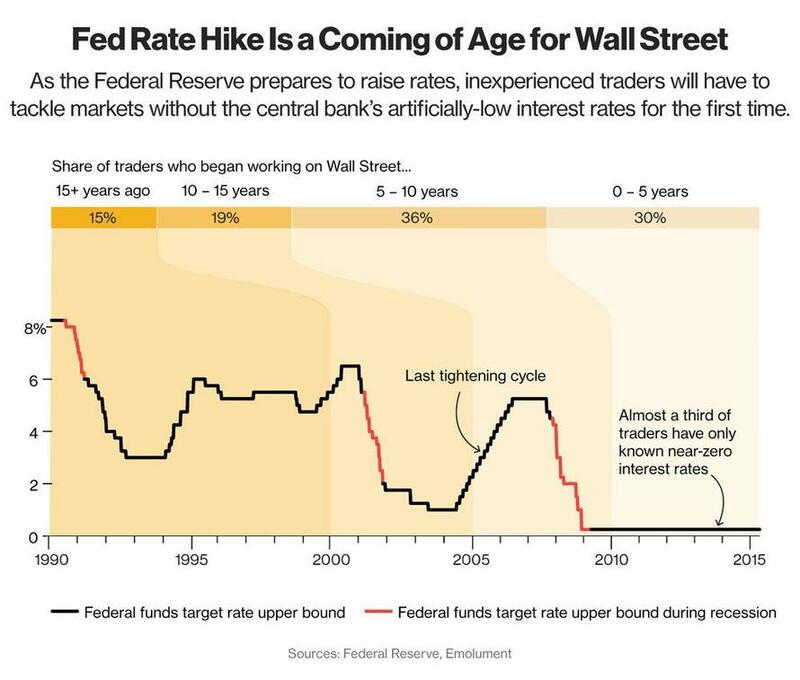 Come to think of it, when the market is crashing and the Fed has lost all credibility and is unable to prop it up, nobody else will either.